Unified Communication & Collaboration | Velocis Systems Private Limited. Fast changing world requires secure & reliable Communications infrastructure solutions that supports real-time engagement by integrating messaging, voice & video, applications, conferencing, mobility, and more. 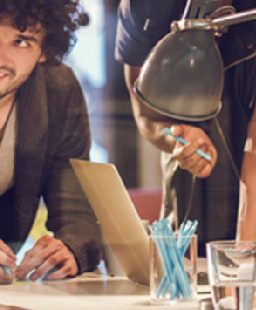 We know that connecting with coworkers, customers, and partners is critical for your business. But too often communication is blocked by technology silos, competing platforms, distance, and security concerns. Our solutions & services enables to break your organization silos for your people to connect & collaborate from wherever they are, without travel, with audio, Video, content and whiteboard from small to large screens. ​We'll assist you in your journey to enable diverse & distributed teams both inside & outside the company to effectively communicate in following ways. Our Communication & collaboration team supports following “UC life cycle” from Business justification to Network assessment, Design, Implement, Drive adoption, Operate & Monitor for UC&C infrastructure. Business requirements, justification & processes – Identify current state, personas and processes and create a roadmap that meets your business requirements of UC&C. Network Assessment for UC helps you visualize network impacts as we simulate Voice, Video & Conferencing using assessment tools. This pre-deployment assessment phase helps to fix the network issues avoiding potential quality problems & user adoption issues later. Our expert team will use tools to check Wi-Fi infrastructure for VoIP delivery & suggest modifications. Enterprise wide deployment with High availability, Mobility, DC–DR Architecture, Federation, Hybrid Deployment & Cloud. Enterprise Voice, integration with Session Border Controllers, Media Gateways, IP PBX, Hard Phone Devices etc. Adoption involves our expertise to help increase usage of UC in your organization. Operate & Monitor monitors health of the infrastructure, supports increased adoption, Monitoring is valuable for determining trends, performing analyses, and even troubleshooting enterprise voice, conferencing workloads etc. We help you converge the legacy disparate networks of Telephony and Voice & Video into a single, unified network, we help you connect your enterprise IP telephony system to telecom service providers using PRI & SIP trunking using session border controllers. We do the complete life cycle management of IP telephony that includes business justification, assessment, deployment/migration, integration and management, helping your organization to realize savings in multiple areas, including lower total cost of ownership, toll savings, and increased productivity. 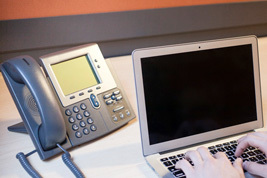 Voice mail application providing voice messaging to enterprise communications. 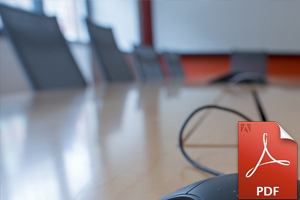 Video - IP-video conferencing products enable distance learning and workgroup collaboration. Interactive voice response(IVR) - IP-powered interactive voice response solution, providing an open and feature-rich foundation for delivering IVR solutions over an IP network. Attendant Console - This flexible and scalable application replaces the traditional PBX manual attendant console. IP SoftPhone - The IP SoftPhone, a software, computer-based phone, provides communication capabilities that increase efficiency and promote collaboration. 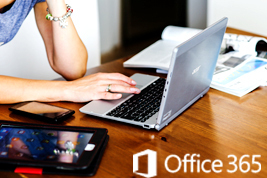 We enable on premises mailing servers to Microsoft O365 enterprise mailing suite that increases organizations productivity while keeping the organization data safe. We provide the next-generation portfolio giving you the flexibility to choose video/voice end points that work best for a wide variety of work environments and employee business needs, we offer the highest quality video resolution up to 1080p60, for the industry’s most lifelike visual experience critical in various industries such as healthcare, design collaboration, machines troubleshooting etc. & HD audio technology providing extraordinary audio fidelity that allows users to distinguish every syllable of every word they hear in a video conference, resulting in an amazing video experience even in challenging environments. Telepresence provides multiple screens, HD audio, multiple cameras & true-to-life quality and exacting details to enhance in-person collaboration. Collaboration endpoints for conference rooms and huddle spaces registered to Skype for Business, Lync 2013. 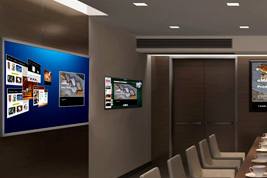 High-definition video end points ideal for small to medium size meeting rooms. Personal video end points delivering immersive face-to-face experience at the desktop enabling interactive, confidential one-on-one meetings. Enabling video on mobile devices or laptops for users on the move. We bring conferencing solutions that brings employees, customers, and partners together to collaborate from anywhere with highly scalable voice, video, and content using any standard end point. Delivered from the cloud, on premises, or through hybrid solutions. The solutions allow more secure collaboration from mobile devices, desktops, or meeting rooms with scheduled or unplanned meetings. Our Solutions seamlessly combines enterprise communications and collaboration solutions in Virtual Meeting Rooms, or acts as flexible gateway between platforms. It allows people to use any communication or collaboration device or tool including legacy VC end points, Skype™ for Business or Lync®, personal and mobile devices, telephones, or simply any web browser. 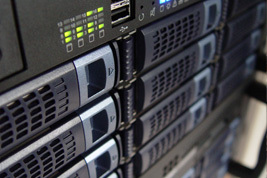 Recording & streaming servers for streaming critical Video content for training, education. We design & deploy for streaming critical Video content for applications like training, education, company updates, manufacturing processes for troubleshooting & many other use cases. Capture video content using any device, including smartphones, tablets, and desktops as well as TelePresence Systems and other equipment. Transform the video content for live streaming and optimized viewing on different devices, from mobile devices and PCs to large, high-definition displays in conference rooms or lecture halls. Share the video content with people anywhere in the world, in real time or on demand. We run this program assisting you to increase usage of the UC&C solution in your organization. The program is designed to help you achieve rapid, sustained adoption of Skype for Business/Lync and long-term operational success. It focuses on the organizational readiness, change management, and user experience aspects of the rollout.